The ACBL Goodwill Committee was organized in 1955 with John E. Simon as chair and Louise Durham as co-chair. Aileen Osofsky became chair in 1985 and has expanded the committee’s endeavors, taking on the promotion of active ethics, awareness of those with disabilities such as hearing loss, support for junior programs and naming of a goodwill member of the year. Current Chair is Sandra DeMartino and assistant chairs are Marilyn Vilhauer, Sandy Arlinghaus, Joo-Hee Janicki, Janise Saul, Jan Anderson, Kathy Swaine, and Carol Hamilton. The ACBL Goodwill Committee was organized in 1955 with John E. Simon as chair and Louise Durham as co-chair. 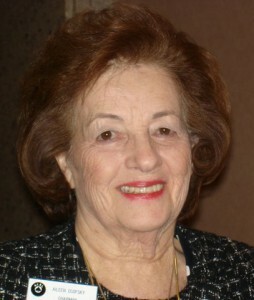 Aileen Osofsky became chair in 1985 and has expanded the committee’s endeavors, taking on the promotion of active ethics, awareness of those with disabilities such as hearing loss, support for junior programs and naming of a goodwill member of the year. Current Chair is Sandra DeMartino and assistant chairs are Marilyn Vilhauer, Sandy Arlinghaus, Joo-Hee Janicki, Janise Saul, Jan Anderson, Richard Brown, and Carol Hamilton. 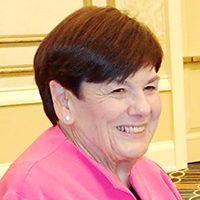 At the Summer 2010 NABC in New Orleans, LA, the committee was renamed the Aileen Osofsky ACBL Goodwill Committee in her memory and in appreciation of her 25 years of service as chair. Click here to view a memorial to Aileen created by Sandy Arlinghaus. Each member of the ACBL Board of Directors is entitled to appoint two lifetime members from his or her district annually. Goodwill Day is celebrated on the Monday of each NABC. Districts and units are encouraged to establish and recognize their own Goodwill Committees. We encourage clubs to use the anniversary to promote special goodwill activities.